Glen Campbell… I’ll Be Me, which aired this past Sunday, was the highest-rated film in the key demo and in total viewers for the entire CNN Films franchise. Among the now 20 films within the CNN Films franchise, Glen Campbell…I’ll Be Me was the highest-rated in both adults 25 to 54 and total viewers, and the second highest-rated among adults 18 to 34 (after CNN Films Blackfish). Glen Campbell…I’ll Be Me easily won first place in cable news for its time period on Sunday night for all three demos. The broadcast had 2.76M total viewers and 510k viewers aged 25 to 54 for its 9:00pm to 10:45pm premiere. These ratings beat the cable news competition: MSNBC placed third with 463k total viewers and 251k viewers aged 25 to 54, while Fox News straggled in at fourth with 139k viewers aged 25 to 54, and second place with 593k among total viewers. With 125k viewers aged 18 to 34, CNN also won the evening’s cable news competition in its time period. This figure easily topped MSNBC, which had 48k viewers 18 to 34 years old, and Fox News, with 33k viewers aged 18 to 34. The encore broadcast at 10:45pm delivered big numbers as well, CNN came in first place among total viewers and viewers 25 to 54, with 1.26M and 268k respectively. Fox News placed second among total viewers with 482k and last for the demo with 89k. MSNBC was last among total viewers with 403k and second among viewers 25 to 54 with 219k. 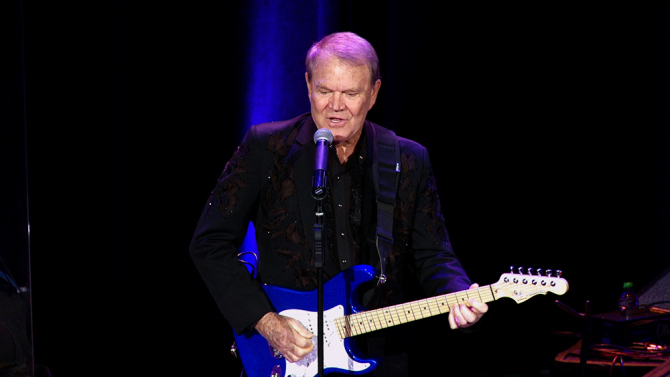 Glen Campbell’s extraordinary life, musical legacy, and brave battle against Alzheimer’s disease are the focus of the film, which was sponsored by Eli Lilly and Company, and presented back-to-back on CNN/U.S. with limited commercial interruptions. The award-winning film was directed by James Keach and produced by Trevor Albert and James Keach. Sister network, HLN, will encore Glen Campbell… I’ll Be Me on Friday, July 3, at 8:00pm Eastern. The film will encore on CNN/U.S. on Saturday, July 4 at 9:00pm Eastern.